Natural Light Photography, or is it?? Ooooooh, look at that light, that awesome light, its ethereal, glowing, spectacular, it makes everything pop! You know what I’m talking about, you’ve seen it. That early morning on vacation in Rome when you see the rising sun make the street in front of you come to life, or that last bit of light after a sunset in Santa Fe, where the pink clouds above make the world look like you are in a candy jar. That is magical light, so good its nearly un-replicable. We see these magical moments inside as well. Everyone has that one room in their house where the sun bursts through the window at just the right angle that it makes the room come alive. And then, 15 min later its gone, the room is flat and dull looking. As a photographer the first thing I look for in any shot, is the natural light. Is it awesome? Will it get better later, or did I miss the good light earlier, are those clouds rolling in? A pre-scout usually helps me determine when the light will be best in any room of the house, so I’m prepared going in to maximize the natural light as much as possible, but then sometimes things change on the shoot day. It could be raining and dreary(happens more than a lot), so how do I deal with that? I use professional lighting! You know, all that gear you would expect me to have ready to go when the light is really bad. The key to using artificial lighting in my shots is to make you think its all natural light, and that has been something I’ve been trying to perfect in over 20 years of shooting. There are so many tricks we can use now with photoshop, but call me old school, I still like to get it looking nearly 95% perfect at the point of capture, thats how we had to do it shooting with film. No photoshop needed. 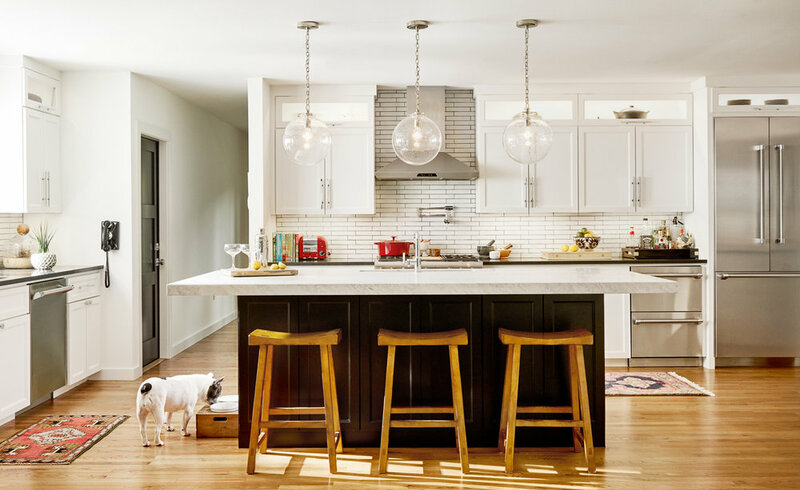 Knowing how and when to add supplemental lighting is from years and years of observing what natural light actually looks like and does to a room, in all types of situations. It helps me get to control exactly how the final image will look, and I can adjust it to taste, like a chef. Some like a little more spice, do you? Scouting is one of the most important aspects of any of my shoots. I try to scout every single shoot now, its that important to me and for my clients. For years I would sometimes scout, or not worry about it for a home interior shoot, thinking I could show up first thing in the morning on a shoot day and figure it all out. I think many photographers that shoot for interior designers fall into this category, and they are missing a huge opportunity to make the shoot a success before it even happens. From a scout I’m able to determine the angles that work best, which shots should not even be attempted (huge time saver), and a schedule of how I want to shoot the house based on the lighting throughout the day. But probably the main reason I scout every shoot is to inform the styling of the final shots. For example, you will see in some of these examples several things were changed, and some only floral was added. As you can see from this shoot with Allison Seidler Interiors, we decided to move furniture around, swap out a couple of lamps, side tables, and restyle the coffee table. Everything was shifted quite a bit towards the camera to allow for separation with the white chair and table, and sofa on right was moved into the space. 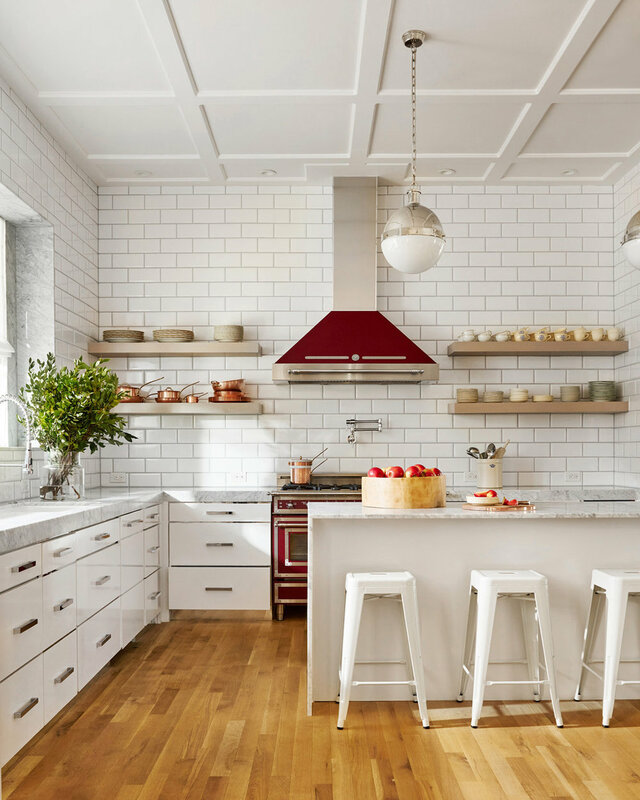 This kitchen shoot with Staci Steadley really benefited from the scouting shots. The florist, Haile Wossen, was able to determine the scale of floral to bring to fill in the window on the right, and the new barstools brought in by Staci changed the entire feel of the room. Removing homeowner clutter and knowing how much work will be needed ahead of time are huge time savers. Bring extra help! And lastly, this living room by SBLong Interiors needed a lot of minor adjustments that we were able to decide before starting our shoot that day. Walking into this room knowing what was needed to happen made this transformation last about 30 min from start to finish. So, you can see how and why I scout all my shoots. It takes a lot of the guesswork out of what can feel like a stressful day if you aren’t prepared. Do yourself a favor and scout!